According to the New Mexico Department of Agriculture (NMDA), organic food sales in New Mexico are currently around $40 million per year and there are over 150 organic certified operations (farms, processors, handlers, etc.) statewide. In addition, about half of all organic products grown in New Mexico are sold within 100 miles of their origin, which contributes to strengthening local food systems and economies. Nationwide the organic food industry had sales of $43.3 billion in 2015, and the growth rate from 2014-2015 was 10.8%, which was significantly greater than the overall food market growth of 3.3% over the same period. These recent trends illustrate the economic opportunities in New Mexico in the sector, not to mention the benefits from local organic agriculture to the environment and community social capital and development. 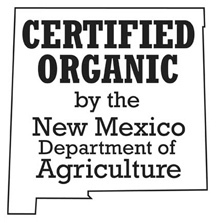 New Mexico has had a state-level organic certification program since the 1990s. For nearly 20 years the program was administered by the New Mexico Organic Commodity Commission (NMOCC) and was funded through State Legislature appropriations. The program was viewed as offering consumer protection, economic development, and a service to the farm sector; achieving full cost recovery of the costs to run the program was not a priority of the NMOCC or the Legislature. In 2010, however, the State Legislature cut the commission’s general fund appropriations from $280,000 to $25,000. With a significant financial deficit and insufficient administrative and managerial support, in 2011 the program was transitioned to be placed under NMDA authority at the request of both the NMDA and the commission. Since this time, the program has been housed at and administered by NMDA. Funds carried over from NMOCC were used by NMDA to meet the income deficit for about two years, and NMDA has since used funds from its discretionary budget to cover the program’s deficit. In August and October 2016, NMDA convened meetings in Las Cruces, Portales, Albuquerque and Santa Fe to consider the future of the NMDA Organic Certification Program. The aim of the meetings was to discuss potential future funding options, as the program is facing a funding shortfall, having run an average annual deficit of nearly $100,000 the past four years. 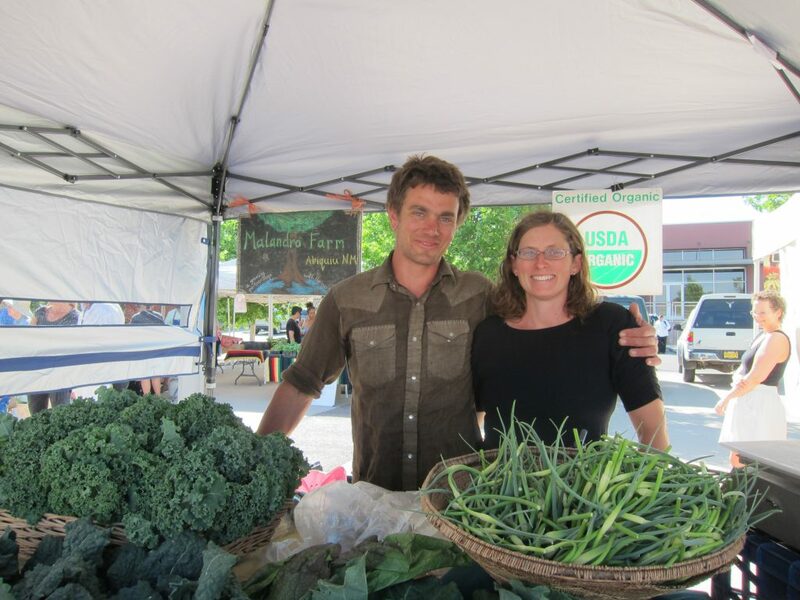 NMDA has stated that the revenue gained by the program – which includes payments from organic producers and other operators for application fees and assessment fees – is supposed to cover operating costs but the changes made to the program have never been significant enough to enable this. In practice, therefore, the fee structure has never provided enough revenue to cover expenses. In FY16, for example, certification revenue totaled $187,466; anticipated operating expenses for FY17 are $309,738. To address the funding challenges and based on input that NMDA received, the agency has developed a series of five options to consider to enable the program to more fully cover its costs. In addition to these options that NMDA has already presented, this white paper provides a limited number of other options that are worth consideration. The additional options were developed based upon discussions with several certified organic operators and other program stakeholders in New Mexico as well as a review of other state-managed programs and third-party certifier programs to look at how they fund and implement organic certification. The purpose of providing these additional options is to give a few other viable possibilities in addition to the five options NMDA has already presented. It is important to note that any of the options that are designed to achieve full cost recovery would mean a substantial increase in fees that organic operations (farmers, ranchers, processors, etc.) would have to bear. Full cost recovery options are therefore possible, but there is a risk that if the fees are increased too significantly, then operators will start to look elsewhere for certification (to third-party certifiers, for example, who would be able to offer comparative prices) or might be forced out of certification altogether. In thinking through various options, it will be more realistic to consider either options that achieve full cost recovery at a reduced operating budget for the program or options that subsidize the program. Fees will still increase but at a much smaller level than with full cost recovery with the full budget. With a wide range and number of small, medium, and large-scale operations that already participate in the program, it is also important that the options enable all types of operations to remain a part of the program, which will help ensure support from the program across a variety of stakeholders. The benefits of a growing organic food industry in New Mexico and the importance of a state-wide program to support that industry are clear, though determining the best course of action for how to structure the program in both the short and long run remains a challenge. This paper helps further the discussion for addressing the organic certification program’s immediate funding issues. The research into the potential short-term solutions has revealed, however, that there is also a great need to consider the long-term viability of this program beyond the next 1-3 years. As such, it is strongly recommended that the Legislature and/or the NMDA commission a more in-depth study into longer-term options for the program. Such a study should look at pros and cons for a set of options for the program’s long-term structure, including consideration of fundamental questions such as: whether or not full cost recovery should be expected; if NMDA should continue to administer the program or if it should be managed again by an independent entity (and the costs and benefits of being affiliated or not affiliated with NMDA); and what the minimal as well as ideal operating costs would be for ensuring a quality program, among others. To read more, download the complete report here.